The show takes aspiring astronauts through the rigorous tests conducted as part of the astronaut selection process. Vijay was selected out of thousands of people, and has made it into the final five candidates of the show. Vijay has also demonstrated that both vegans and Jains can excel athletically. Despite stiff competition, he came out top on the bleep test in the first episode, beating GB bobsleigh athlete James Hedger. Vijay has consistently been among the strongest performing candidates in all exercises requiring fitness and stamina. The next episode will be broadcast on Sunday 24 September 2017 at 8pm on BBC Two. You can also view previous episodes on BBC Iplayer. 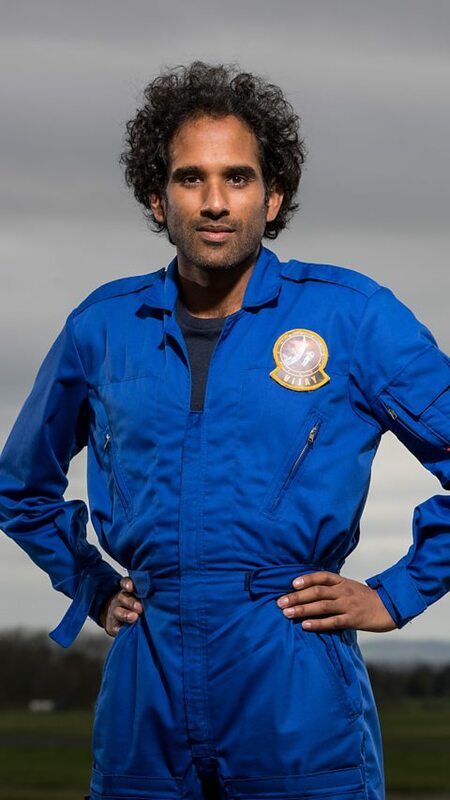 Vijay is an aeronautical engineer, a trained expedition guide and a film-maker. He has helped design space planes, travelled to the remotest corners of the earth, and has also produced short films documenting his adventures. He also comes from an inspiring family of vegan Jains. His first cousin was one of the first vegan Jains in the UK, and his late maternal grandmother switched to a vegan diet when in her 80s. You can read more about Vijay and his adventures across the globe on this website: http://www.vijayshah.info/. And you can read an inspiring biography of his grandparents and their journey from India to London via East Africa in this e-book (read review).